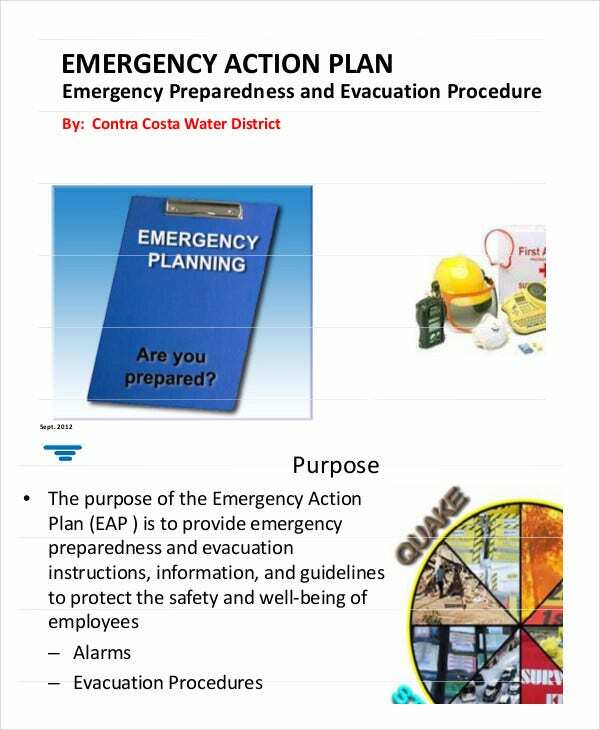 An emergency action plan is a detailed plan of action that must be diligently followed in times of emergency. For instance, if there is a mishap, then there has to be a definite path that you’ll follow so that you can come out of it safely. Now if you haven’t created emergency action plans before, you could do with some professional help. In that case, you could take a look at these Emergency Action Plan Templates here. 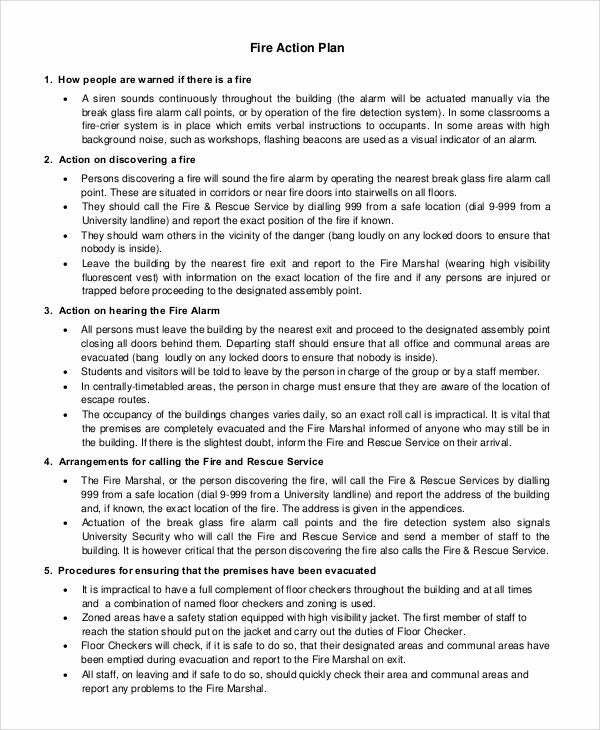 If there is a fire in the building, you will be needing some sort of evacuation plan to help you out. 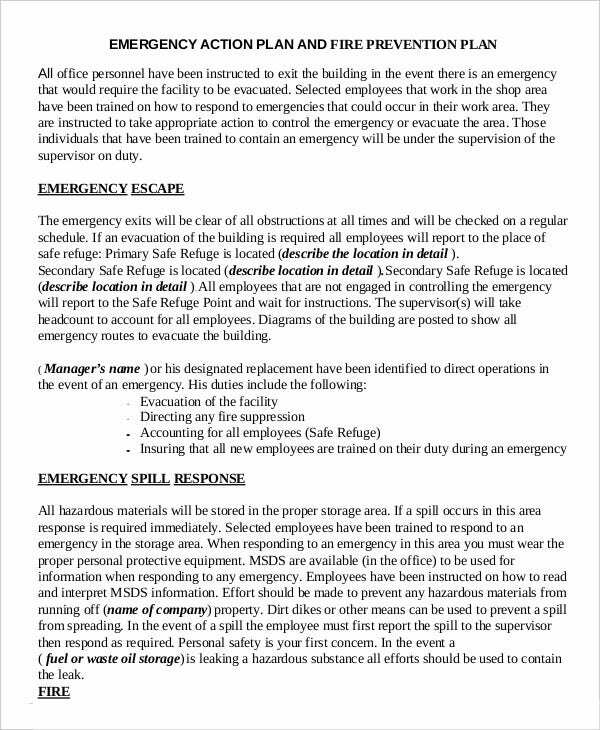 For that, you can use this emergency evacuation Action Plan Template here. If you or someone you know has consumed something that could induce an allergic reaction, then you would require an allergy emergency plan. 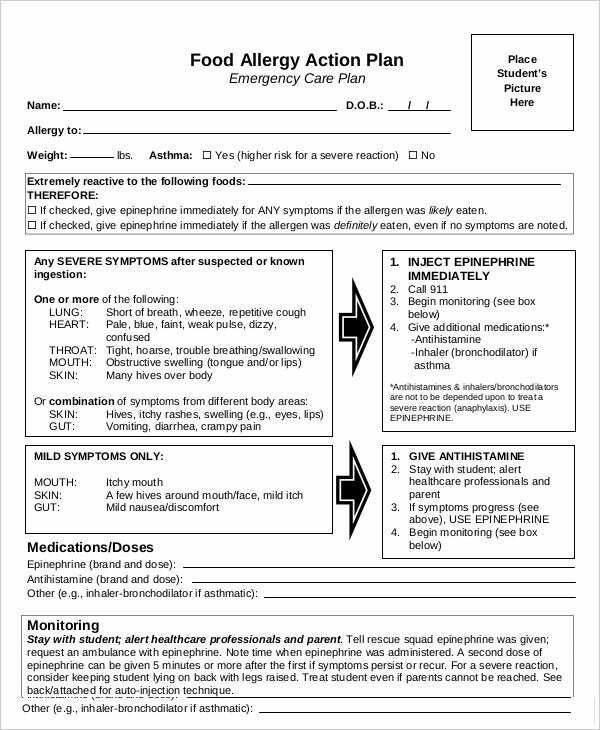 For that, this allergy action plan template would be perfect. 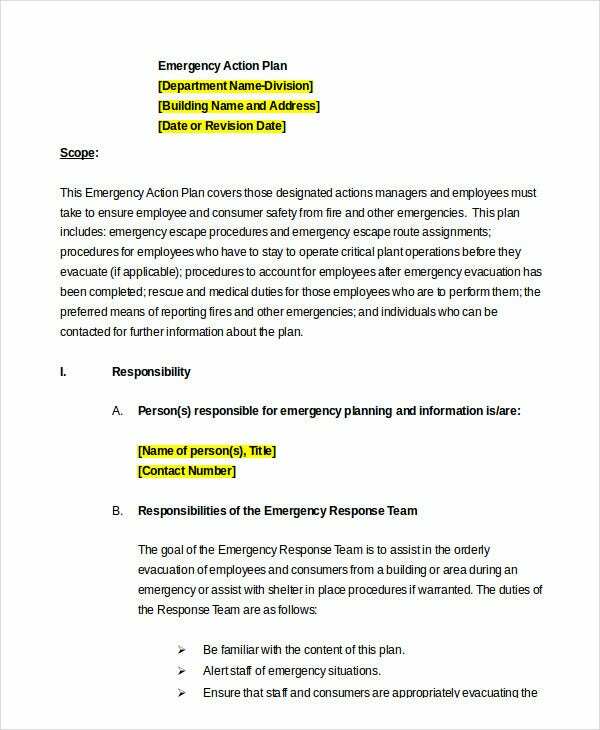 > Why do you need Emergency Action Plan Templates? An emergency action plan isn’t as simple as it sounds; you need to take into account a whole lot of different things if you want to make sure you come up with a foolproof plan. Now it is the planning where most people seem to fall short of and make errors. 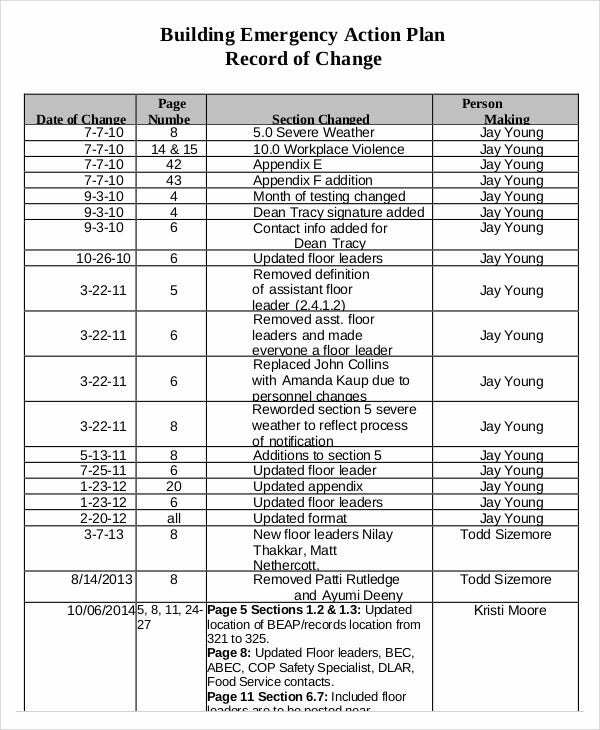 You can also see Incident Action Plan Templates. That is, however, the most crucial part of an emergency plan. That is where these emergency plan templates would come in handy. These templates provide you with an outline of what the plan should be like. By tweaking certain details or changing certain factors, you can come up with an ingenious plan. If there is some kind of emergency in your building, there has to be a definitive course of action. 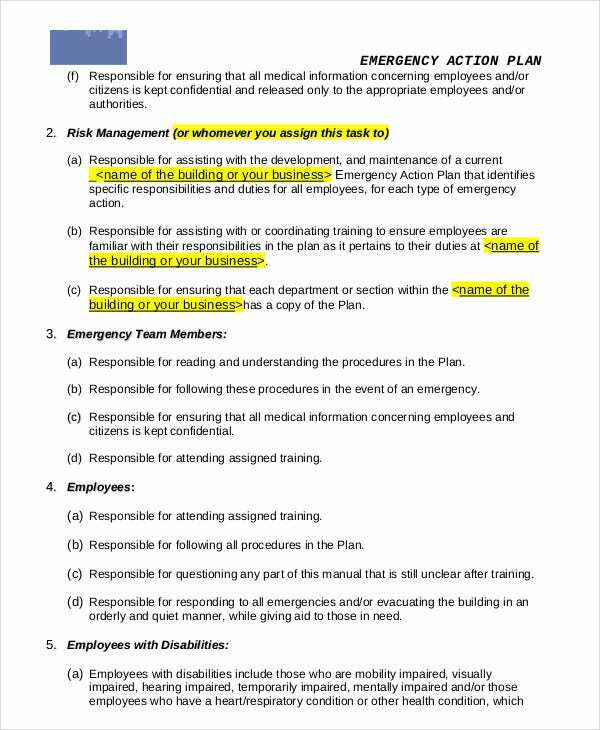 For that, you can use the building emergency action plan template here. This emergency action plan template has been designed specifically for the church. If there is any kind of emergency in the church, you can use this template to come up with a plan. 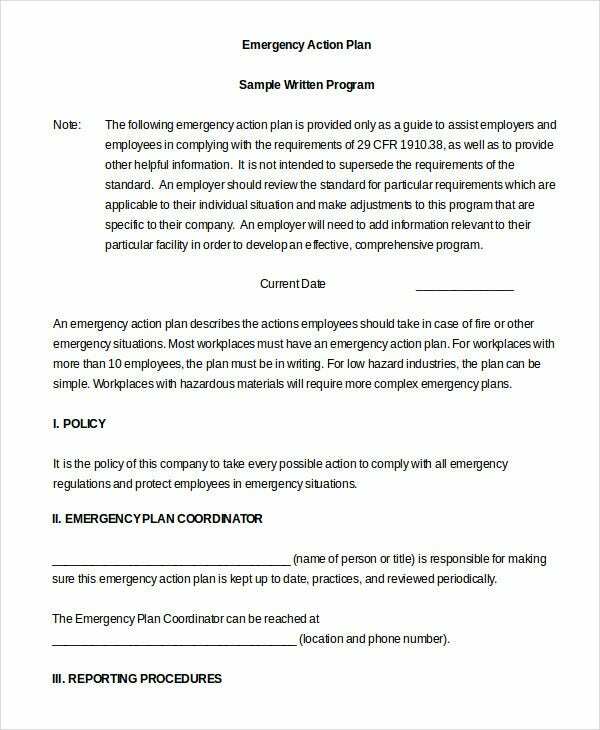 This emergency action plan template is dedicated to employees in a company. 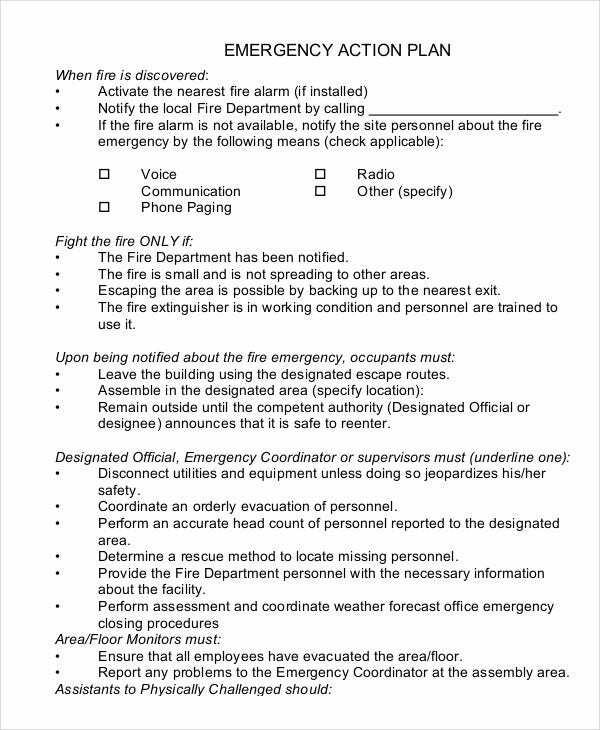 This emergency action plan template would come in handy in a number of situations. 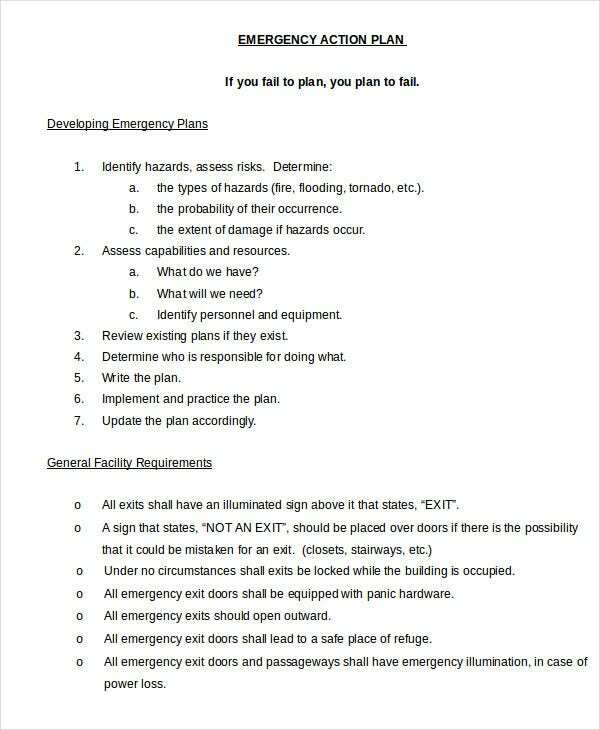 An outline of the emergency plan has already been provided to you in the emergency plan templates that you see here. By studying the format provided here, you can get a clear idea of what such a plan is supposed to be like and what it should contain. The plans are all set for you to print. For instance, based on the kind of plan you have in mind, you can download a template from the ones provided to you above. If you are satisfied with the format and the content, then you can simply download the template and print it. There are different kinds of plan templates provided in this section here which cater to different purposes. 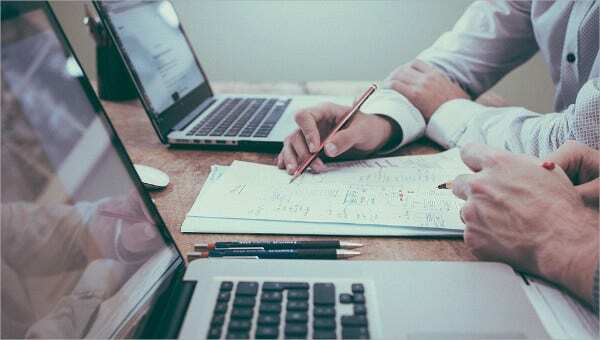 Each kind of plan template that you see here would provide solutions for a different kind of emergency and would tell you what to do in respective situations.